Buying a home may seem complicated and overwhelming. It may be one of the largest investments you make, so having a REALTOR who both understands the process and listens to your needs is essential. Lepic-Kroeger, REALTORS is Iowa City’s largest and oldest locally owned real estate company. As a REALTOR with Lepic-Kroeger, I have the resources and expertise to serve you during every step of the home-buying process. Learn more about me and read testimonials from other home buyers. 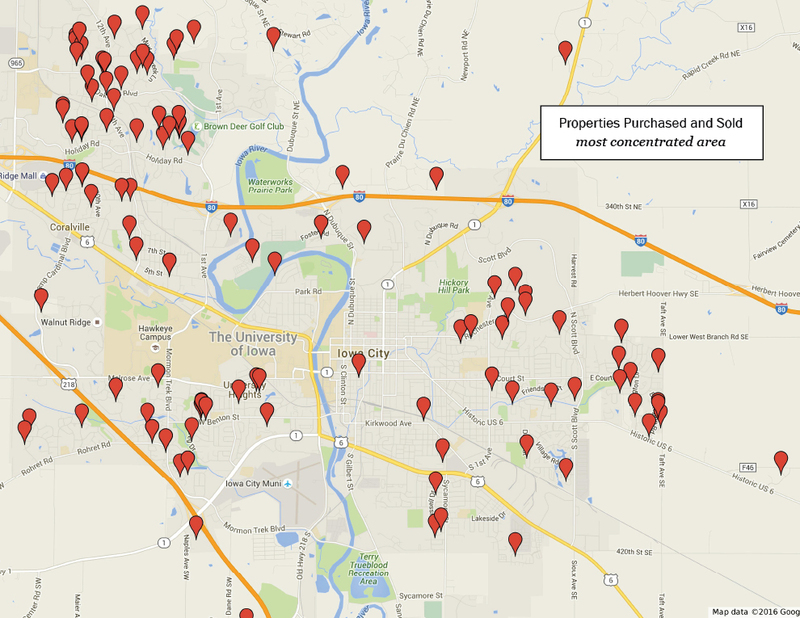 To see an enlarged version of Verne's purchased and sold properties click here.